Sampling will be free of charge,client only need to pay the freight cost. In measurment,if a hardwood floor board width exceed 4",we call it plank floor.If below 4" we call it strip hardwood floor.75mm/93mm are standard strip hardwood flooring dimensions. 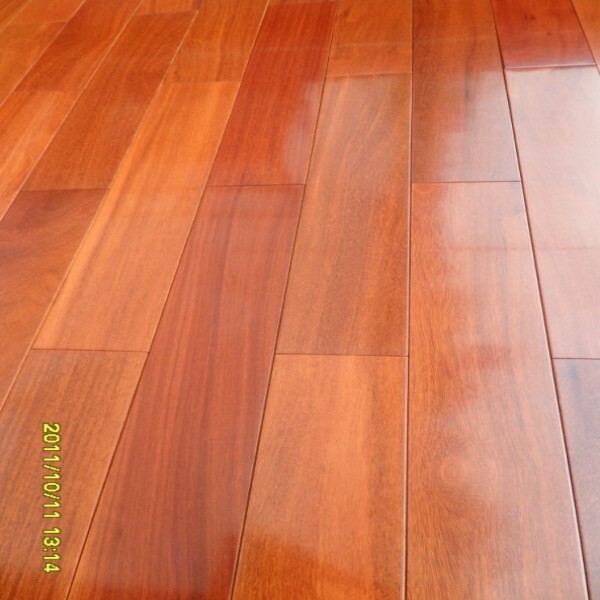 C&L hardwood in China supply 5" hardwood wide plank flooring,normally in dimension RL 1'-4' X 5"X3/4". In the timber market ,strip hardwood board is usually priced lower than wide board.The difference will depend on the timber species,normally 4-7USD/M2 lower. C&L Hardwood 5" cumaru plank flooring is priced below 3.9USD/S.Q.F(VAT not included),while strip 3/4" priced below 3.5USD/S.Q.F in our factory direct price.Out client will save up to 70% comparing with local offer! Send us inquiry and our cumaru hardwood plank flooring samples are free now!